PU is short for Polyurethane, TPU is short for Thermoplastic Polyurethanes which is a kind of Polyurethane. Thermoplastic means a material become soft when heated and rehardening when cold without appreciable change of properties. 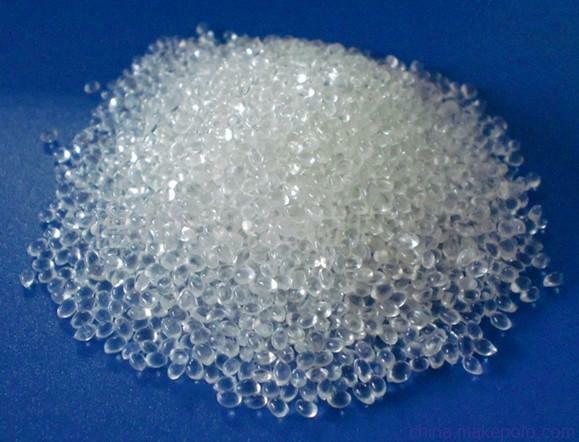 In form of raw material, PU is liquid and TPU is in granular form. The hardness range of TPU is very wide from 60HA to 85HD. TPU material is a kind of high-performance elastomer, it becomes more and more popular in extruding, rolling and injection manufacturing technique because of its outstanding physical property such as resistance to cold, resistance to fat and oils, cut resistance, abrasion resistance, UV resistance, color stability and so forth. TPU is widely used in sole products, light duty conveyor belt industry, cell phone cover, inflatables, medical appliance and so on. TPU is a mature environment-friendly material, there is no plasticizers and halogens needed in TPU material. Our TPU cleats, tracking guides and sidewalls for light duty conveyor belts, as well as round belts are all made of high quality TPU material, they can still keep great elasticity and abrasion proof when the hardness increases. The mechanical strength is very high, also our TPU conveyor belt cleats have good carrying ability, impact resistance as well as cold resistance, and they can proved good working performance in minus 30 degrees Centigrade. Shanghai YOUBE can also offer PVC cleats, tracking guides, sidewalls for light duty conveyor belt, in both normal and environment-friendly materials. They are good choices of high performance-price ratio.